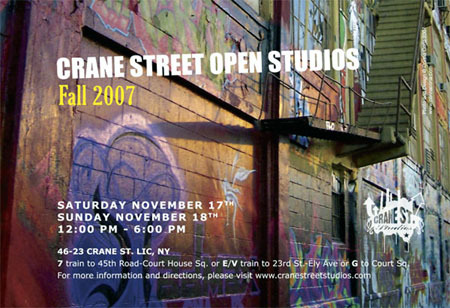 Crane Street studios will be hosting an open studio tomorrow and Sunday from 12:00 -6:00 p.m. On top of getting a sneak peek at the work(spaces) of over 100 artists, a silent auction featuring work by the resident artists of Crane Street Studios will be conducted as well. All proceeds will be applied towards printing and advertising costs for their twice-yearly open studio events. It should be noted that Sierra Nevada and Dogfish Head Craft Brewed Ales are sponsoring this event so maybe be BEER will be in the offering? I can only hope so. Check it out!